You’re working your shift with Amy, who’s in charge of the unit. She refuses to have a meaningful conversation with you, and ignores you or sighs impatiently when you try to share patient information with her. These examples reflect lateral (horizontal) violence or abuse in the workplace, defined as violence or abuse occurring between workers. It includes both overt and covert acts of verbal and nonverbal aggression. Chances are you’ve experienced or witnessed disruptive or inappropriate behavior by a peer or colleague. Intimidation, bullying, insults, humiliation, gossip, constant criticism, and angry outbursts are a few examples. More subtle examples include favoritism, unfair work assignments, inappropriate or unfair evaluations, sarcasm, snide comments, withholding information, holding a grudge, and belittling gestures. Lateral violence in any form feels bad. It creates fear—and fear causes you to shrink and hold back from being your best. You can’t be productive in a fearful environment. Instead, you may feel violated, anxious, stressed, disrespected, and angry. A response of silence or ignoring the offender is common, but not ideal. Here are some better strategies. Admit to yourself that you’re hurting and something is wrong. Many victims dismiss or minimize the event, or even blame themselves. Resist that temptation. If it feels bad, it is bad. And if you allow the behavior, that person is sure to repeat it—not because she’s a bad person, but because she doesn’t realize her behavior is wrong. If you respond by acting surprised and assuming she doesn’t know what she’s doing and has no idea how her actions affect you, it will be easier to respond professionally and quickly. If abuse or violence of any form is tolerated, it will continue. And the negative workplace culture will significantly affect the health and well-being of both staff and patients. 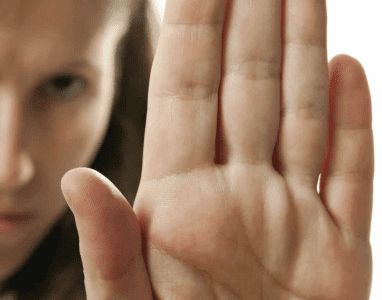 Here are the four keys to responding appropriately to lateral violence in the workplace—or anywhere else, for that matter. Take a deep breath and pause. Don’t react right away. Self-awareness is crucial to managing your emotions and your responses. Take a time-out if you’ve become emotional. Use calming techniques, such as deep breathing, guided imagery, humor, or prayer. If you try to deal with the perpetrator while upset, you’re more likely to behave unprofessionally. Restrain yourself until you feel able to assert yourself in a professional manner. Keep in mind that bad behavior reflects poor self-esteem and serves as a wall to keep people out. It’s also learned behavior. Someone who behaves badly has learned this behavior brings some kind of reward; otherwise, she wouldn’t do it. Perhaps the reward is attention or power. Whatever it is, she gains something from the behavior at others’ expense. Most likely, she’s unaware of this dynamic. By using empathy, you not only learn more about the offender; that person learns more about herself. Show an interest in why she behaved that way by asking questions; for instance: “I’ve noticed you’ve been more impatient lately. Are you okay? Is there something going on I should know about?” When you’ve gained a clearer understanding of the person, you can set clear expectations and boundaries. Asserting your boundaries tells others what behaviors are unacceptable. When you assert your boundaries, you honor yourself. When something doesn’t feel right, tell the person directly that her behavior is inappropriate and ask her to stop it. If you say nothing, your silence implies the behavior is acceptable. Tell the person directly that her behavior is inappropriate. Keep it simple and clear. Use such language as “This doesn’t work for me.” That way, you’re accepting responsibility for your feelings and you’re not making her wrong. Asserting a boundary might sound like this: “Please lower your voice.” But be careful of the tone you use when making the request. You might ask, “Did you realize you were yelling?” She might not be aware of how angry or loud she is at that moment. Tell the person directly how you’d like to be treated or how you want the two of you to work together. Identify what you want instead of what you’re getting—and then ask for it. Don’t assume she knows how to treat you. Determine what your goals are and what you need from her to accomplish what’s expected. If you can, try to establish a mutual goal for you both to work on, such as a more productive relationship so there’s less tension. Clearly communicating your requests informs others of the behavior you expect. You might not want to befriend people at work, and you don’t have to like them. But each of us deserves to be treated with respect. To get respect, you must give it. If it’s not reciprocated, ask for it. Treat everyone with respect. If you experience lateral hostility or violence on the job, deal with it directly and immediately. If it happens again, deal with it directly again and report it to your supervisor. No matter how professional and respectful you are or how assertively you express your boundaries and needs, if your work environment remains abusive and leadership doesn’t address it or do enough to change it, you need to leave your job. Stop wasting time and energy trying to fix a problem no one else wants to fix. Life is too short, and you deserve better. American Nurses Association. Workplace violence. http://nursingworld.org/workplaceviolence. Accessed July 9, 2012. Behaviors that undermine a culture of safety. The Joint Commission Sentinel Event Alert, Issue 40, July 9, 2008. http://www.jointcommission.org/assets/1/18/SEA_40.PDF. Accessed July 9, 2012. I am currently experiencing lateral violence. It is horrible and there is no stopping it. The more you try the more you validate the success of the perpetrators. They enjoy it. If I go to my supervisor or HR it will be 100 times worse for me. They will all gang up and lie and than I have to worry about being setup. I’m looking for another job. People like this are sick and twisted. They repeat behaviors they enjoy. It’s to the point I can’t get help in a crisis. I keep thinking they will eventually slip up in front of the wrong people,but I can’t wait around for that. It’s a shame this is such a good job. But I know I will be severely retaliated against for going to my supervisor. I wish this article helped more. My advice keep a journal. If it feels dirty it is! I think this is without a doubt the absolute worst advice I have ever read on dealing with a bully. I don’t care if she is going through a divorce, I don’t care if it is a learned behavior. We are at work and I expect to be treated professionally. This article is absurd. What about interventions to discipline the perpetrator? What are the responsibilities of nurse leaders to protect the victims from the offenders? What do you do if it is your leadership?